Expect dances like: waltz, quickstep, pasodoble, foxtrot and of course, the Argentine tango! There will be a limited number of VIP tickets (£55 priced seats) that include a pre-show meet and greet with the boys, for autograph and photo opportunities. 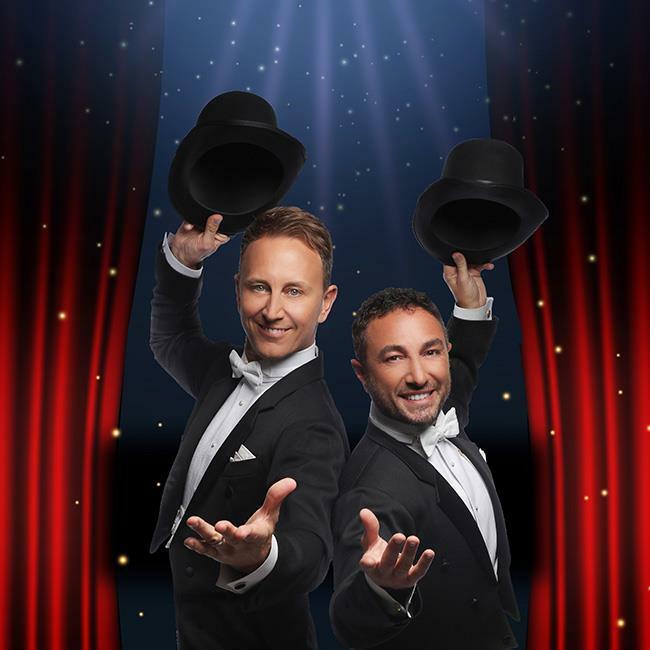 Ian Waite and Vincent Simone are The Ballroom Boys!